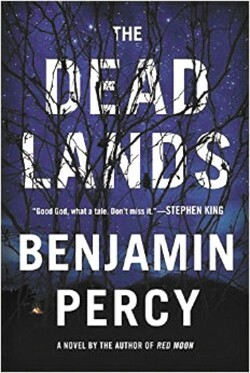 BOOK | Few authors can take genre fiction and spin it into literary gold quite like Oregon-raised Benjamin Percy. His debut novel, The Wilding, was a psychologically terrifying rehashing of Deliverance; he followed that up with Red Moon, an allegory of post-9/11 America that replaced Muslims with werewolves. Now Percy, who appears at the Get Lit! festival this week, takes us into the realms of the postapocalyptic with THE DEAD LANDS. It's 150 years in the future and the world has been decimated by a superflu and nuclear war. When a settlement of survivors clinging to life and civility in St. Louis learns by way of a mysterious young woman that there is hope out in Oregon, a bookworm named Lewis and a road warrior of a woman named Clark take a band of explorers out West. There's a reason both Stephen King and Jess Walter have said this is a must-read. 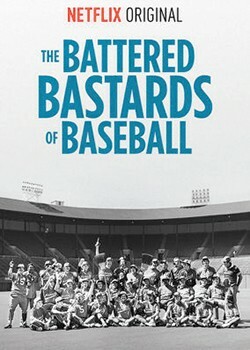 DOCUMENTARY | With baseball season underway, might I suggest you delve into one of the weirder pieces of Northwest baseball history with THE BATTERED BASTARDS OF BASEBALL. The Netflix-produced documentary tells the story of the Portland Mavericks, an independent minor league baseball club founded by Bing Russell, who'd played the sheriff on Bonanza and who also happened to be the father of baseball player/actor Kurt Russell. After Portland's beloved Beavers moved to Spokane and became the Indians in 1972, Russell started the Mavericks the following season, quickly populating the team with rejects, weirdos and a few guys who could actually play some serious ball. 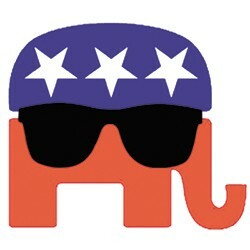 It's a real-life Bad News Bears.